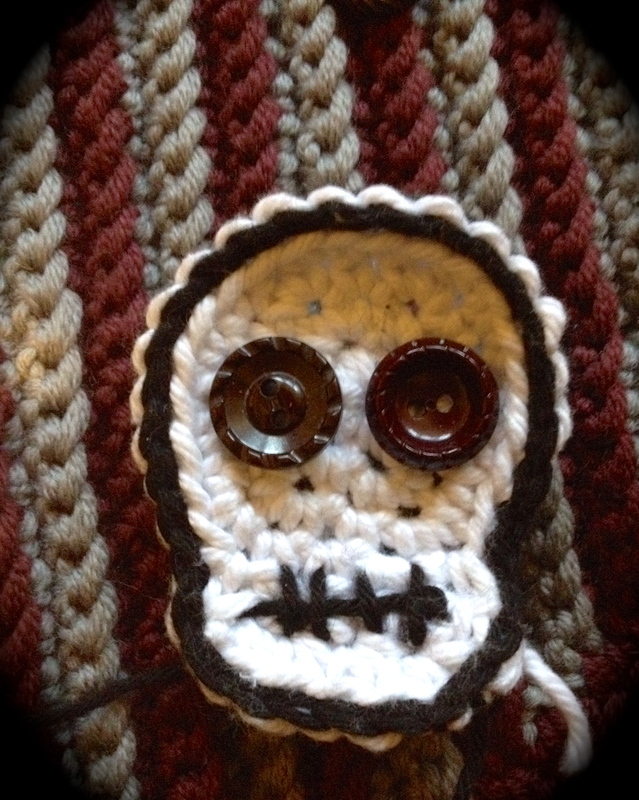 The Crocheted Skulls Are Coming! The winner of this year’s birthday giveaway is Krista of Pickering, Ontario! Congratulations Krista! Thanks to everyone who took part! I had a lot of fun promoting it! So much so that I foresee future giveaways, so be sure to watch for them! NOTE: What follows is a crocheted piece in progress!